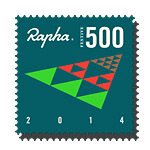 The Rapha 500 Challenge (500km between the 24th & 31st December 2014) has been around since 2010 and this year seemed to have me obsessed with completing! The weather seemed intent on saying otherwise with what seemed like a continual procession of icy mornings! This seemed to spur me on even more and I found myself studying the gritting routes, times and where roads would not remain under shelter! Talk about obsessed! The first Festive 500 was born by Rapha’s Graeme Raeburn who rode 1000km in the week between Christmas and New Year’s Eve, combining extensive product testing, base miles, and a trip to see his family into one taxing adventure. In 2010, they invited friends and customers to match (half of) Graeme’s feat, and a festive tradition was born! The miles were clocking up nicely despite the ice and I even managed to clock up a century ride with Cristian Tudorache a Romanian lad from Aberdeen who was staying down this way over Christmas, another tough day in the ice and cold! 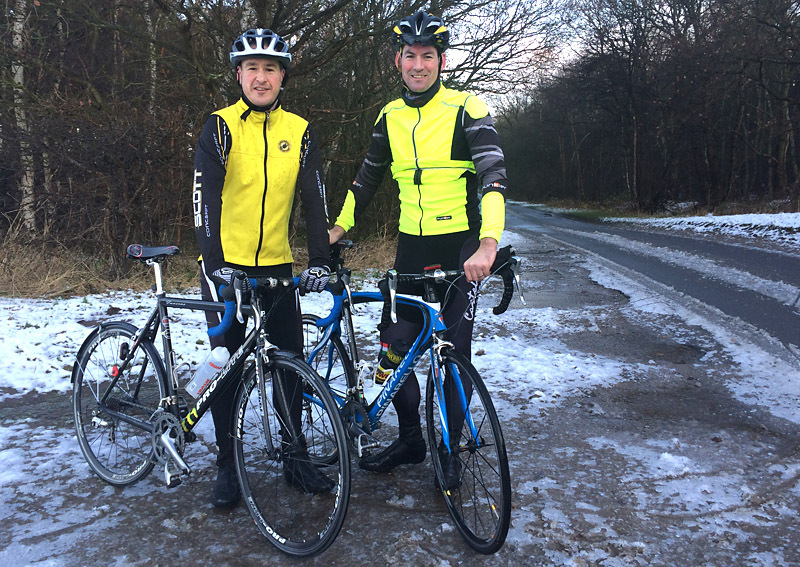 Me and Paul Wells heading out in icy conditions for the Saturday BDCC ride! The 31st December saw me getting out for just 12 miles to ensure the challenge was complete!! 25th – Not a chance of getting out on Christmas Day! 28th – The roads were just to icy and dangerous!